You might have imagined that December wouldn’t be a great time of year to place any matched bets. After all, isn’t this the period when everyone’s winding down and focusing on their Christmas dinner instead? 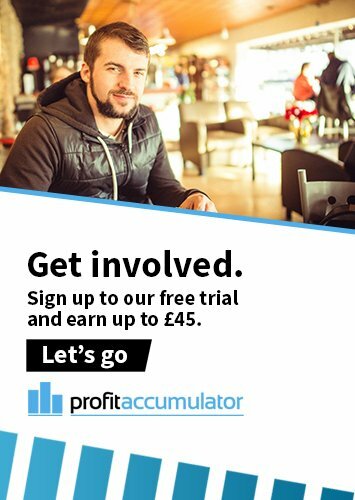 We’ve having none of that here at Profit Accumulator. Here are 10 hotly-anticipated events to match bet on during the concluding month of 2016. The latest El Clásico looms at the Nou Camp on Saturday 3rd December and will be a key game dictating the destination of this year’s La Liga title, with Zinedine Zidane’s Real presently heading Luis Enrique’s Barca by a four-point margin in the standings. One star who sadly won’t be there is Welsh maestro Gareth Bale, who dislocated ankle tendons in his side’s Champions League win over Sporting Lisbon. The old enemies lock horns again during the autumn internationals at Twickenham Stadium on 3rd December. It’s fair to say that Eddie Jones’ team won’t want a repeat of the 13-33 loss in a vital pool match at last year’s Rugby World Cup, but instead the subsequent 3-0 whitewash of the same opposition in a Test series Down Under. They may be two of the most successful teams in English football, but we suspect that Ronald Koeman’s Toffees will be much happier than Jose Mourinho’s Red Devils about how their respective seasons have gone so far. They face each other at Goodison Park on 4th December. The Watford native will defend his IBF world heavyweight title against the American veteran Eric Molina in Manchester on 10th December, following the failure of protracted negotiations to fight Wladimir Klitschko. The Briton is tipped at 1/33 to win by William Hill, compared to 12/1 odds for Molina and 33/1 for a draw. Arsene Wenger’s men were denied the chance to go clear at the top of Champions League Group A in November by Lucas Moura’s late equaliser for PSG at the Emirates Stadium. With both teams holding 11 points and their places in the next round secured, the Gunners need to better their opponents’ result against Ludogorets in this 6th December match to have any chance of topping the group. The Grade 3 National Hunt chase that has been known since 2014 as the Caspian Caviar Gold Cup will take place at Cheltenham on Saturday, 10th December, having attracted a 44-strong field. Taquin du Seuil has been installed as favourite by Paddy Power at 9/1, not surprising given that the nine-year-old has already secured the Grade 3 BetVictor Gold Cup this year. Cristiano Ronaldo’s homecoming to Sporting may have been a successful one in more ways than one – his team winning 2-1 – but Real’s only hope of winning Champions League Group F is to beat current leaders Borussia Dortmund at the Bernabeu in their final group stage match on 7th December. First run in 1937 in honour of the then-new British monarch, this Grade I National Hunt chase has already been the focus of much debate ahead of this year’s Boxing Day running. The discussion has largely centred on whether Coneygree can exact revenge upon Cue Card after the latter’s triumph over the former at the recent Betfair Chase at Haydock – alas, most of Sporting Life’s pundits consider the answer to that question to be “no”. It’s a clash of two of Europe’s undoubted managerial titans at Anfield on 31st December – Liverpool’s Jurgen Klopp and Manchester City’s Pep Guardiola. This’ll be a real test for the Citizens at a ground where their record is poor, with the Reds having won last season’s equivalent fixture 3-0 in March thanks to goals from Adam Lallana, James Milner and Roberto Firmino. Chepstow’s biggest race meeting of the year, this Grade 3 National Hunt steeplechase scheduled for 27th December is set to be as hotly contested as ever, with the likes of Minella Rocco, Vicente and Onenightinvienna heading up the favourites list. Or if you fancy a longer punt, what about last year’s winner Mountainous, priced at 25/1 by Paddy Power? With so many exciting sporting fixtures like these on which to bet throughout December, what more excuse could you need to sign up with Profit Accumulator and start making money in readiness for a healthy, happy and... well... prosperous 2017?